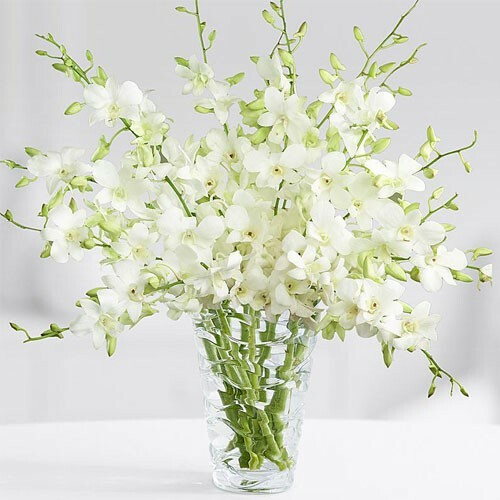 Thirteen stems of lovely baby dendrobium orchids arrive in soft shades of white. They appear to be delicate, but are unsurpassed for their enduring beauty. Our orchids arrive in a nice glass vase arranged in a special way.